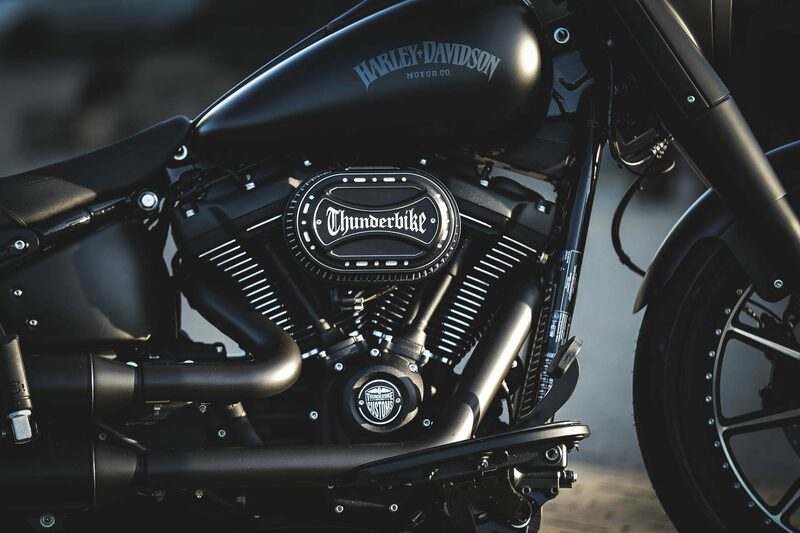 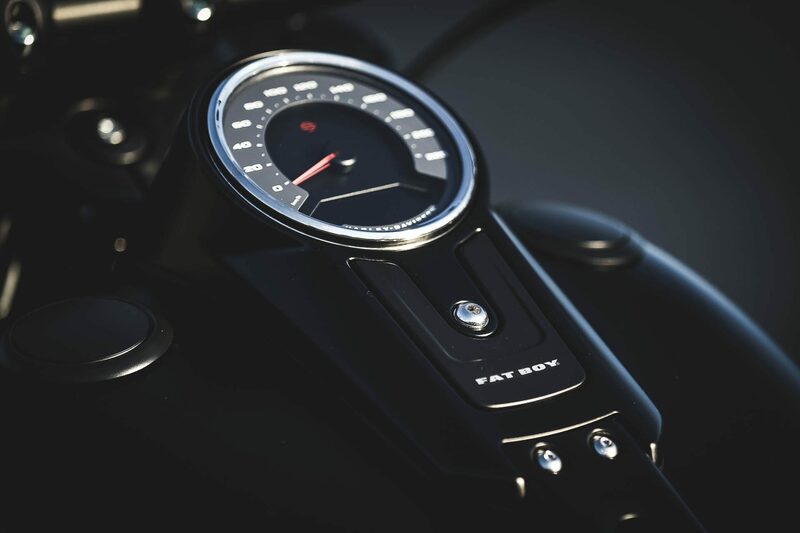 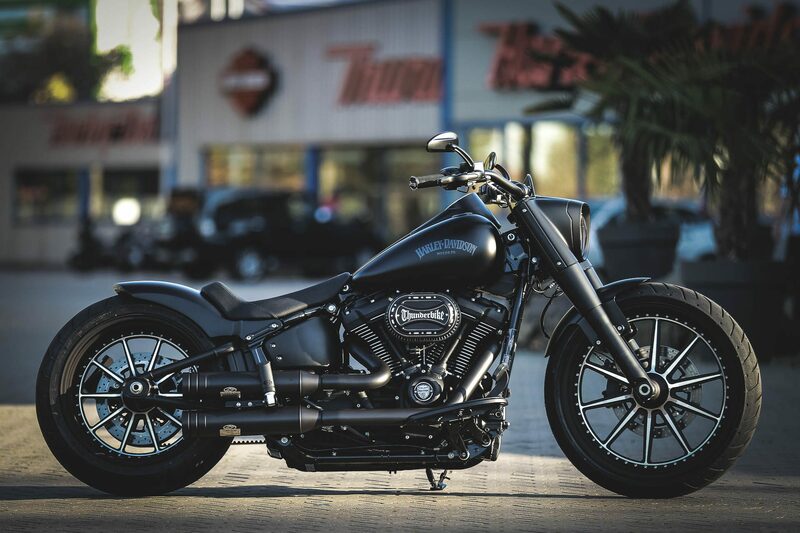 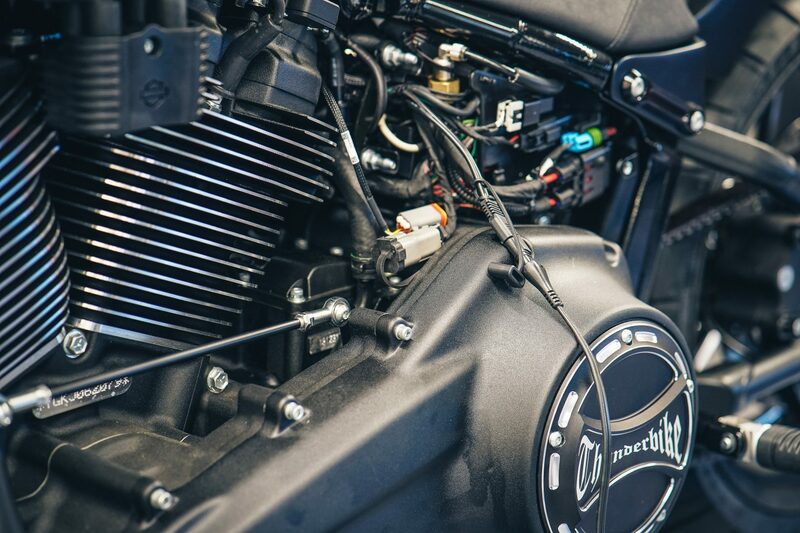 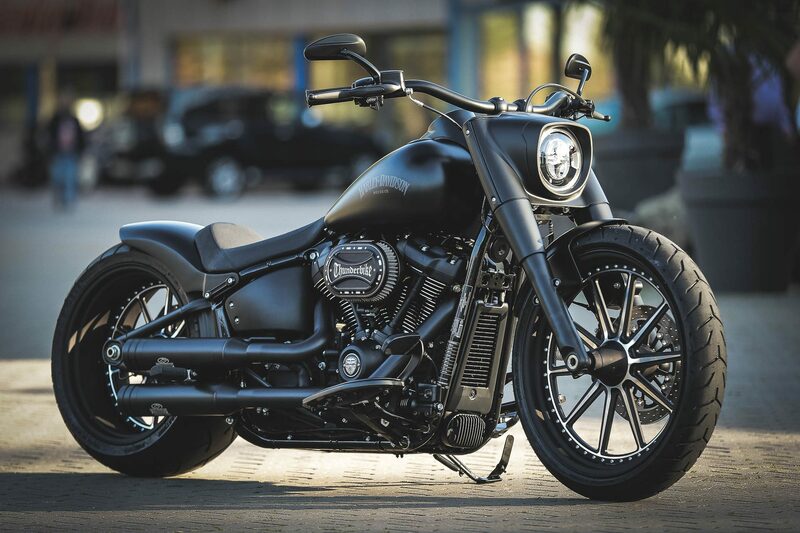 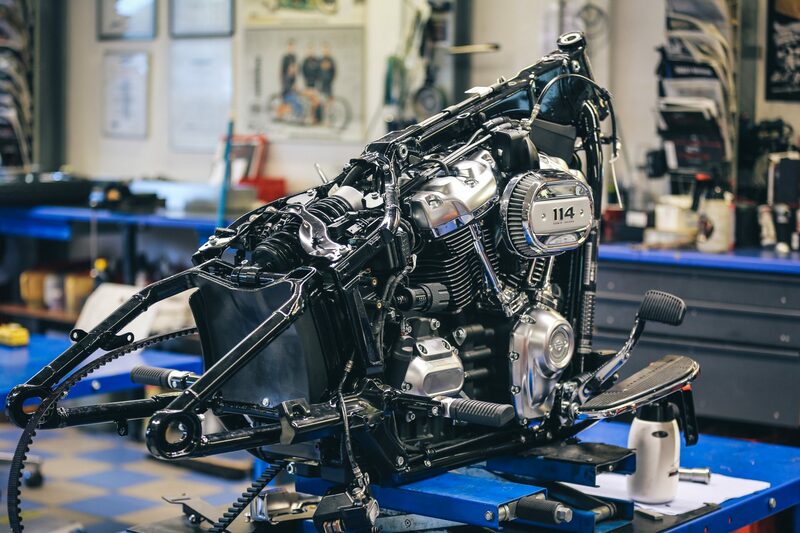 The new 114 Big Twin engine makes the new Fat Boy the most powerful Fat Boy of all time. 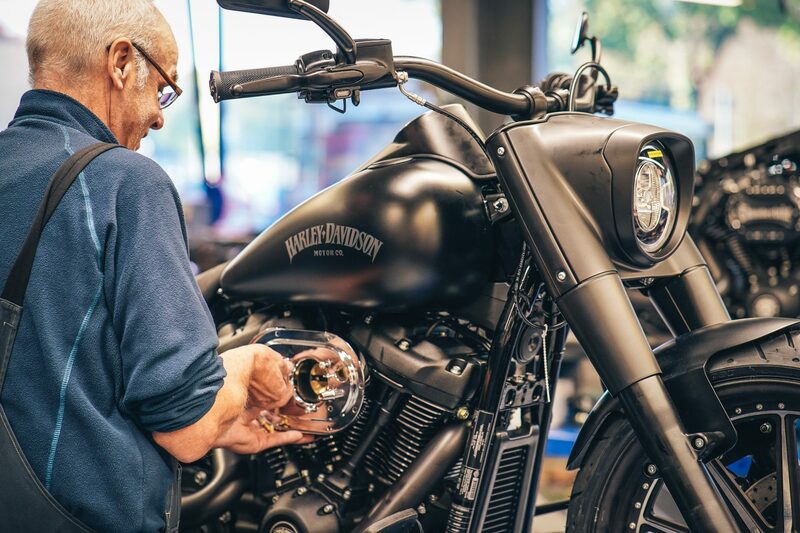 But we want more! 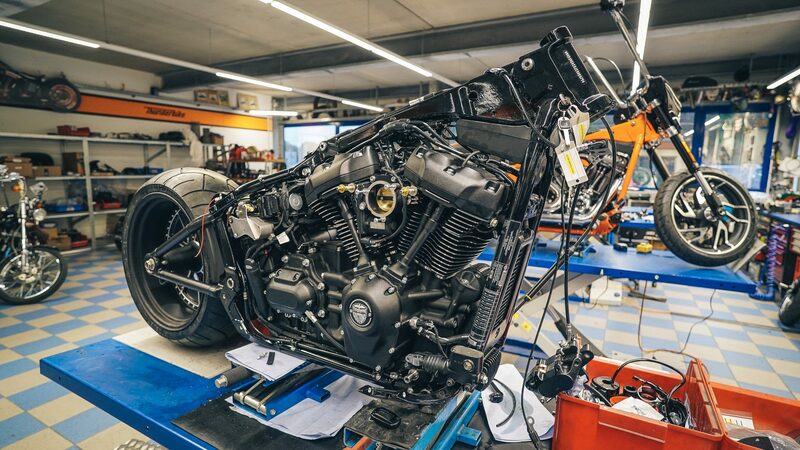 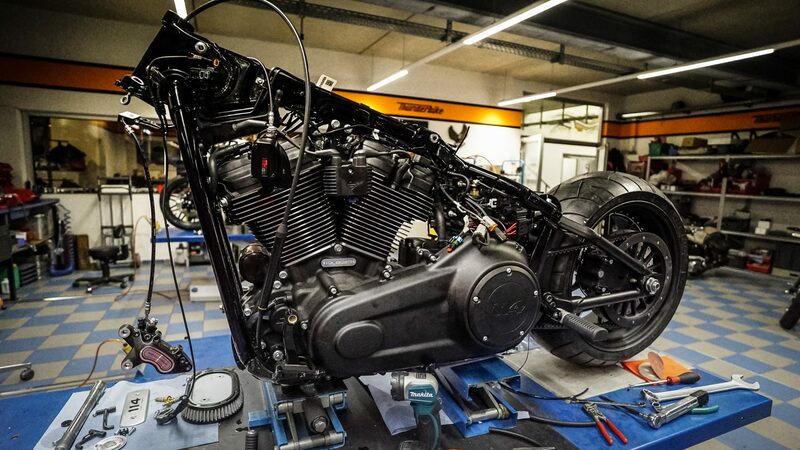 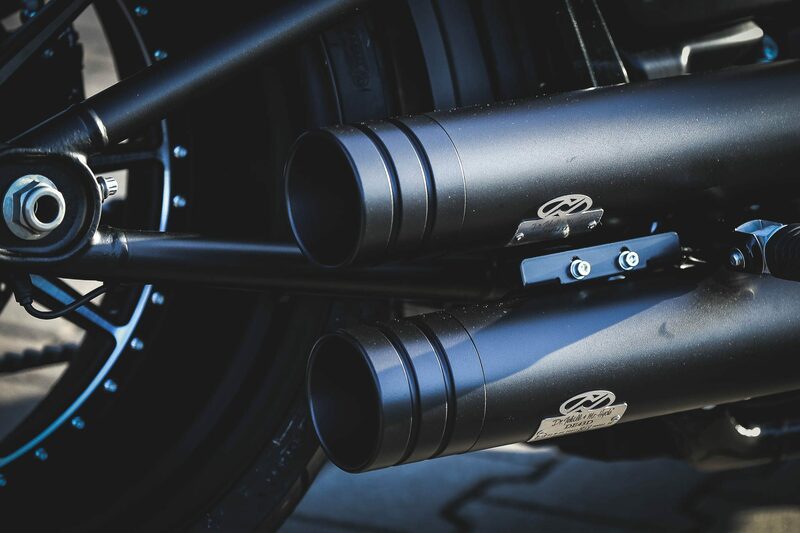 Various modifications such as the Dr. Jekill & Mr. Hyde exhaust provide a brutal sound as well as a performance boost. 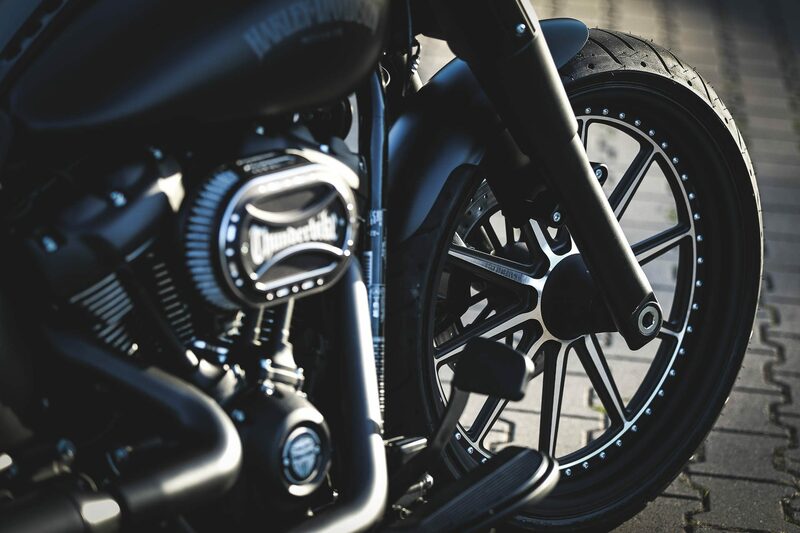 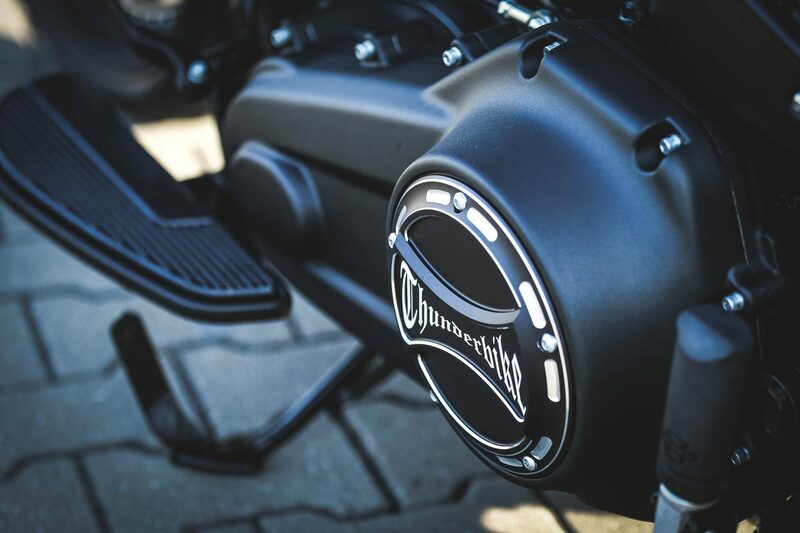 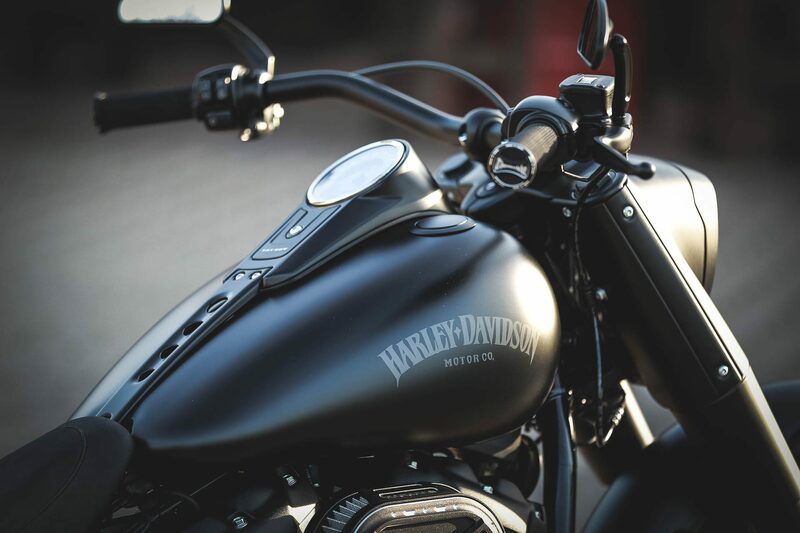 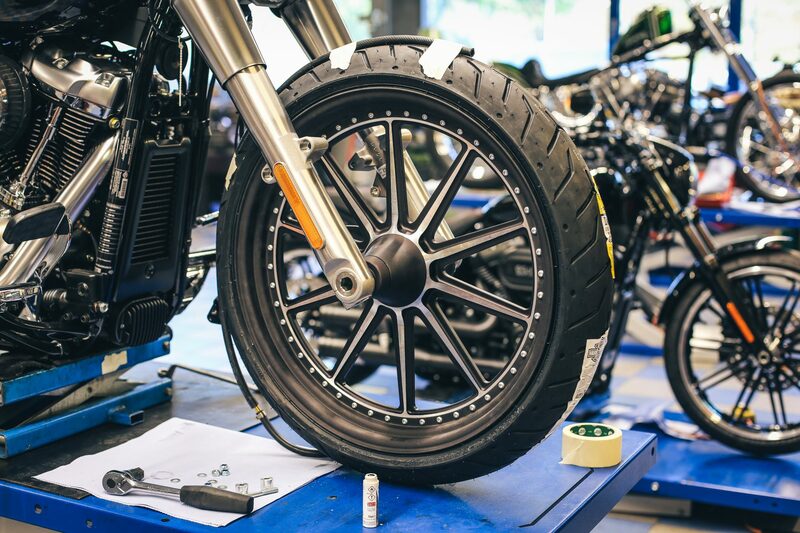 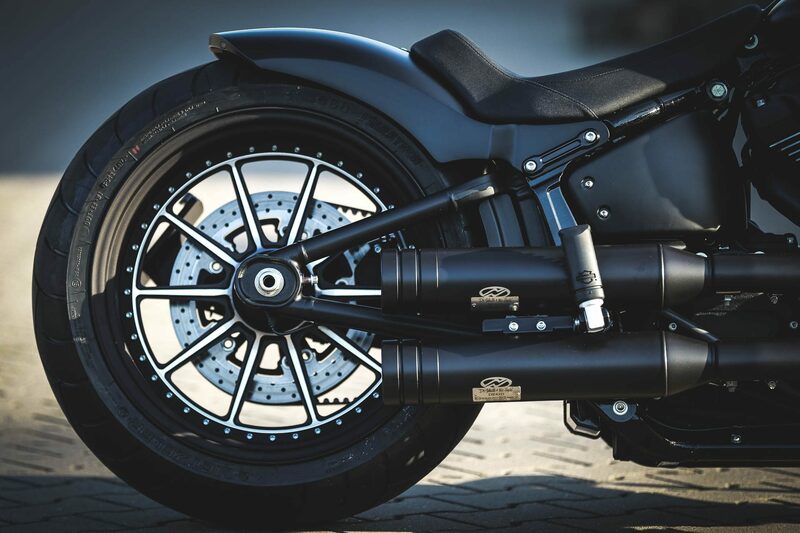 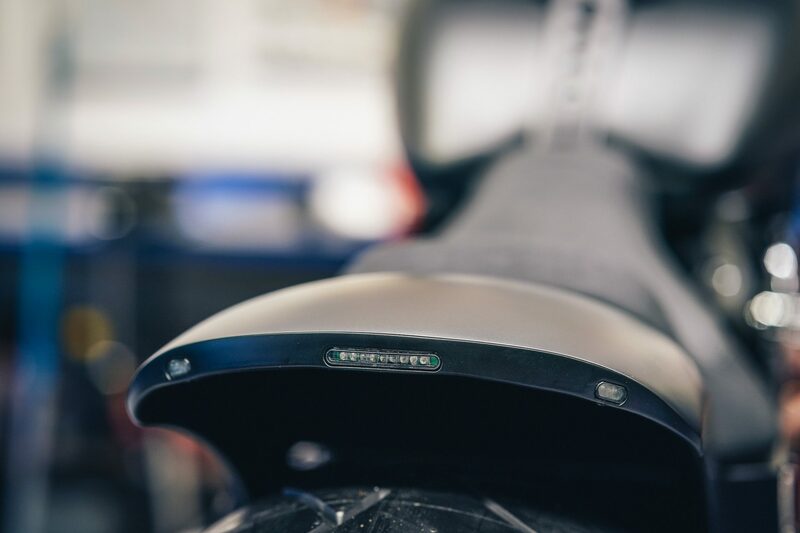 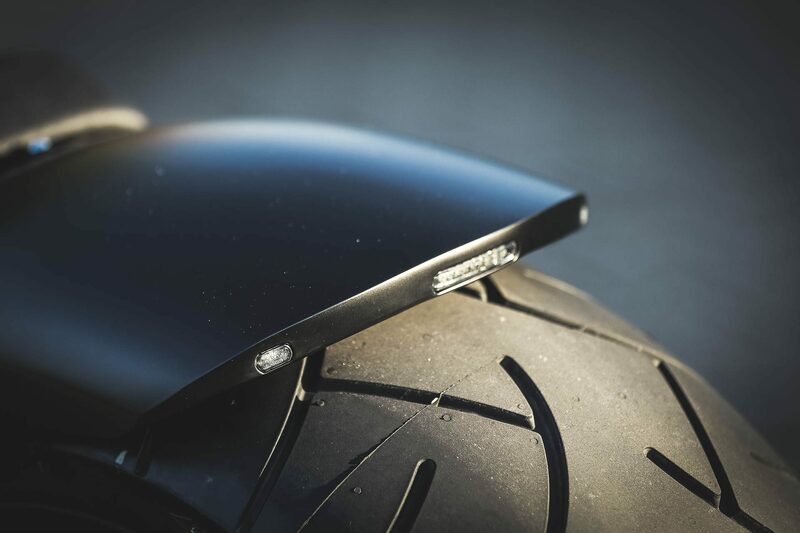 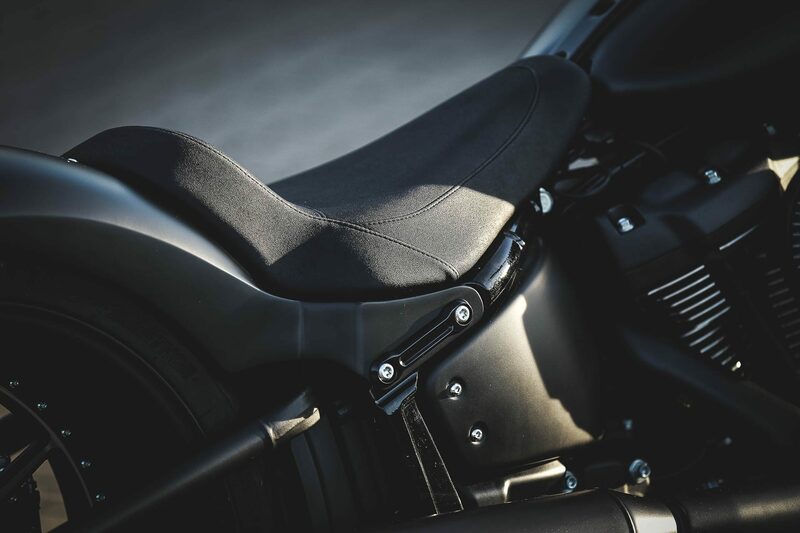 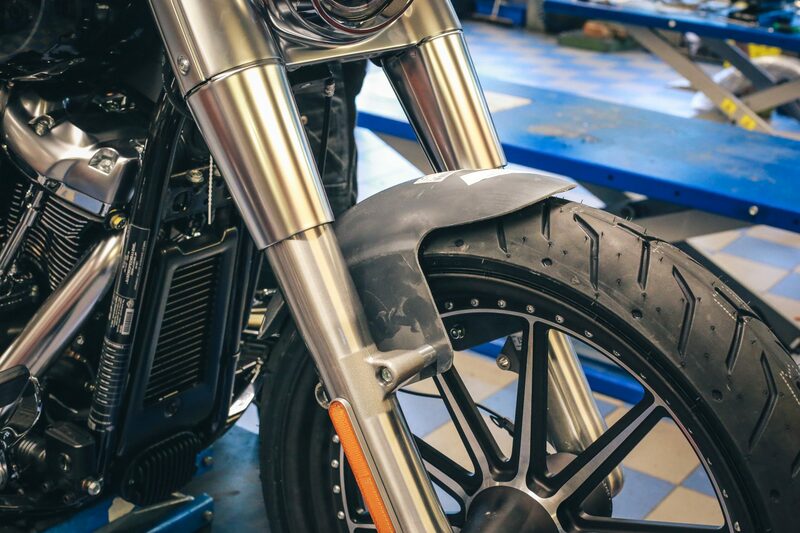 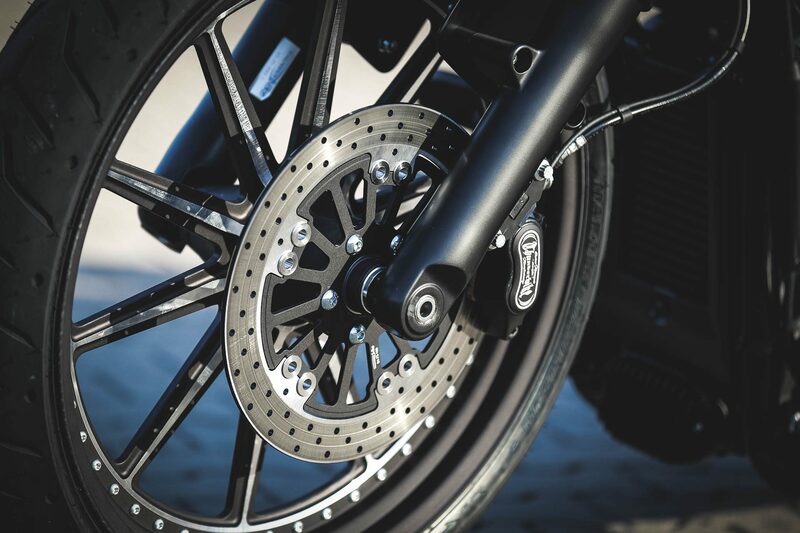 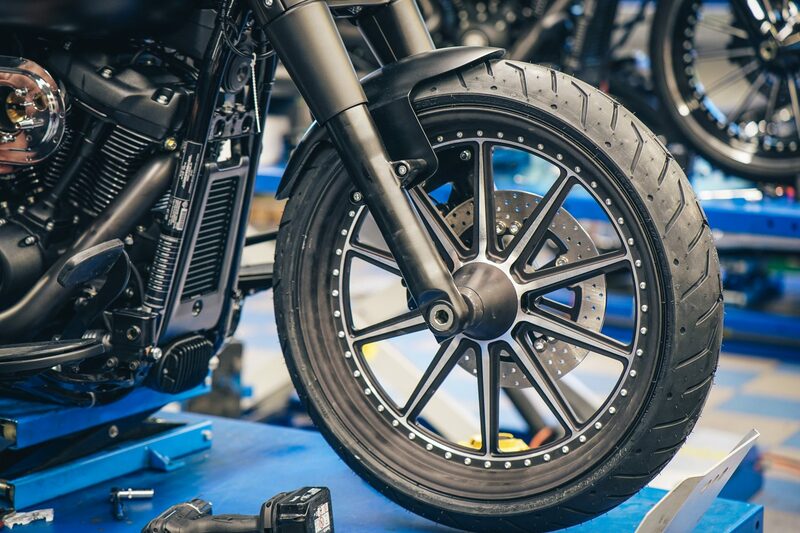 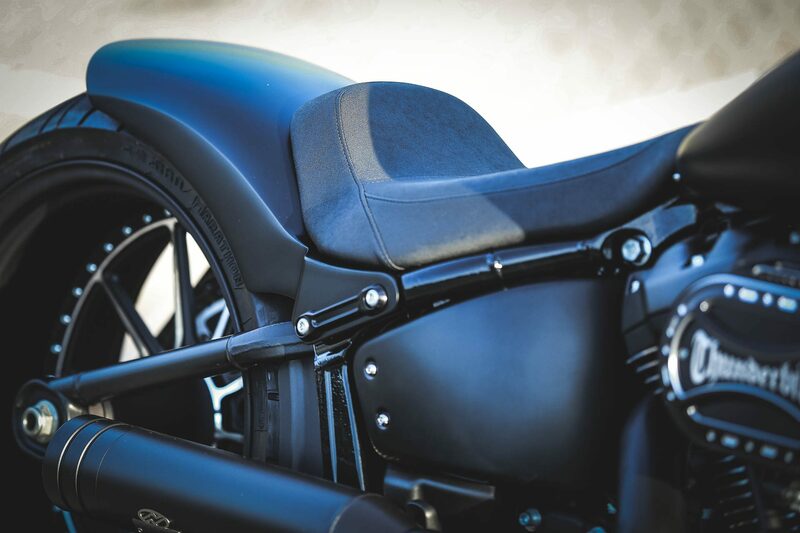 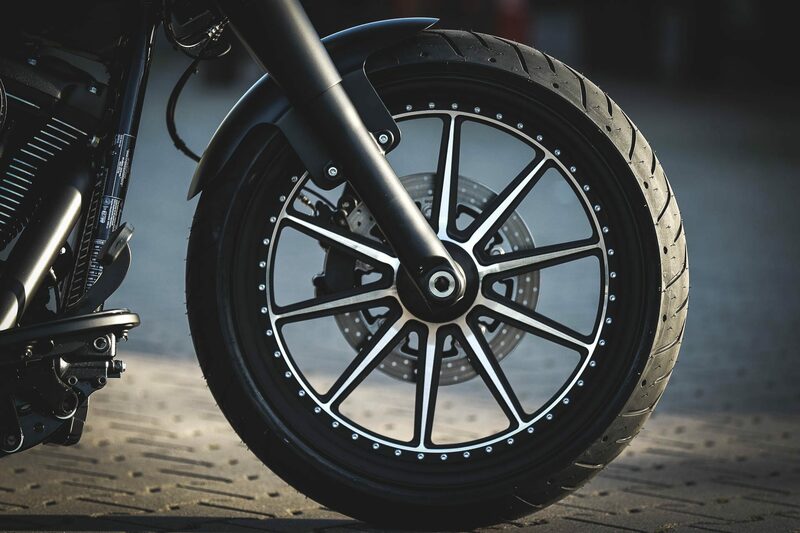 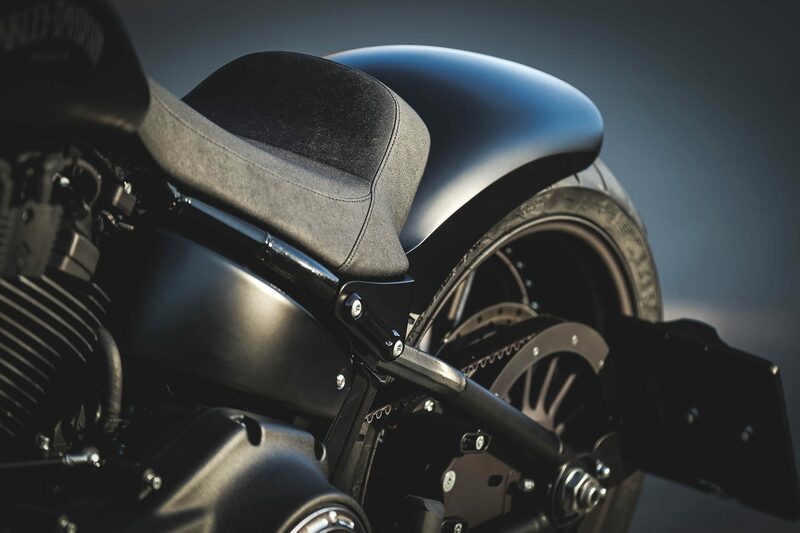 To highlight the Thunderbike FLH wheels, we have once again decided to take the discreet Recall Frontfender and the small but stylish LED indicators Stripe. 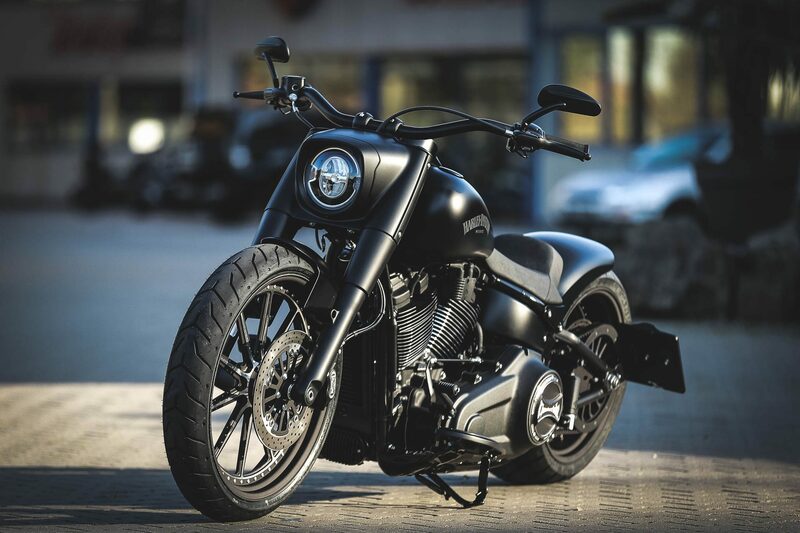 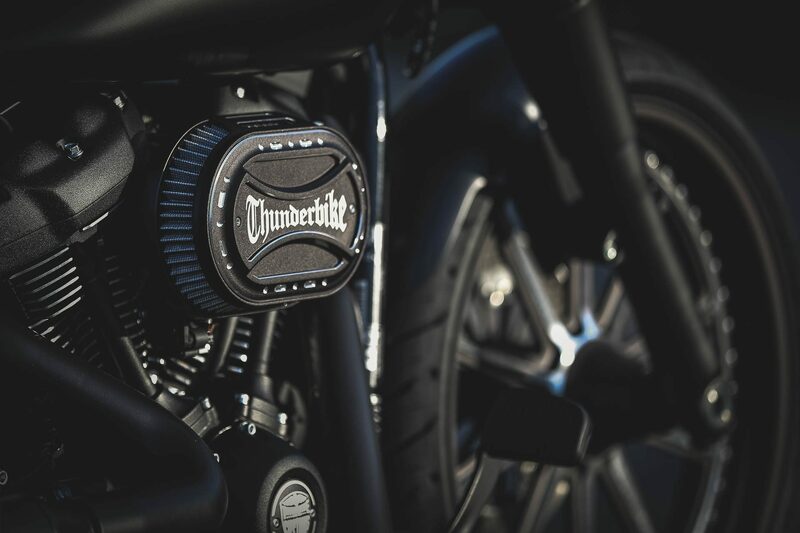 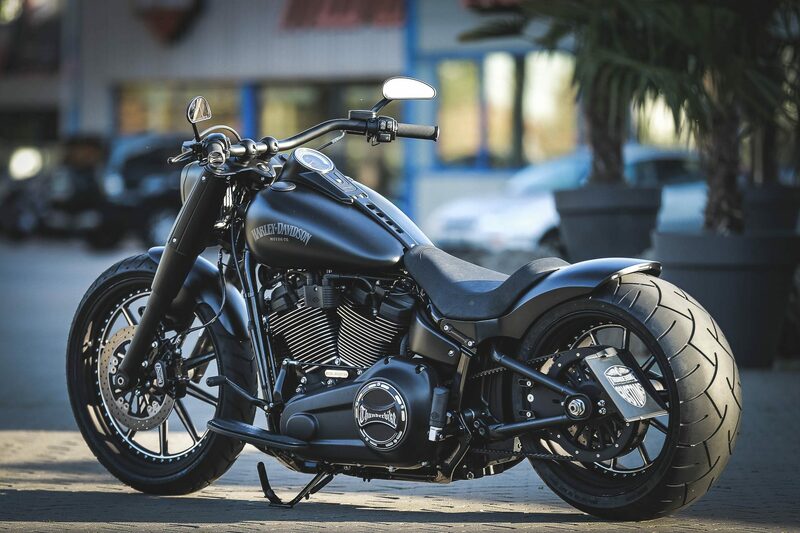 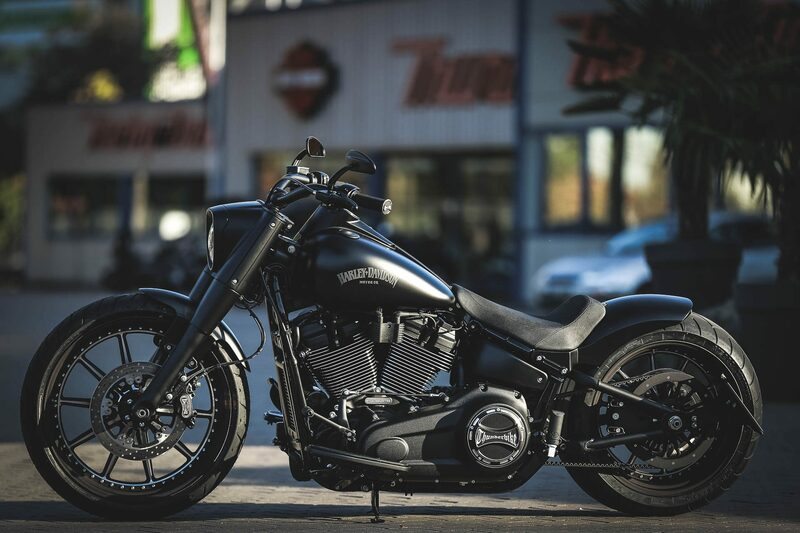 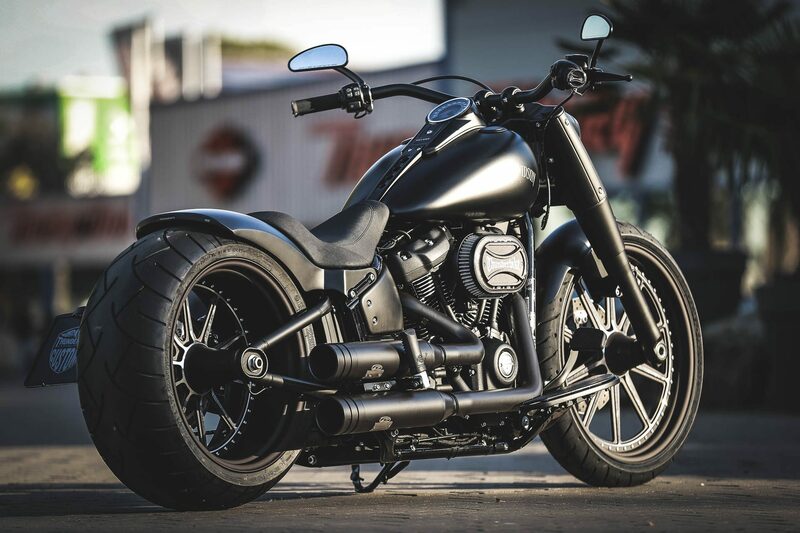 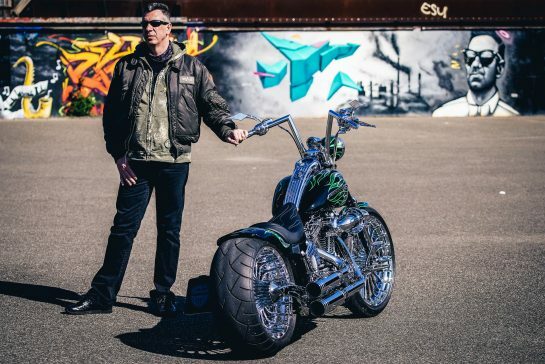 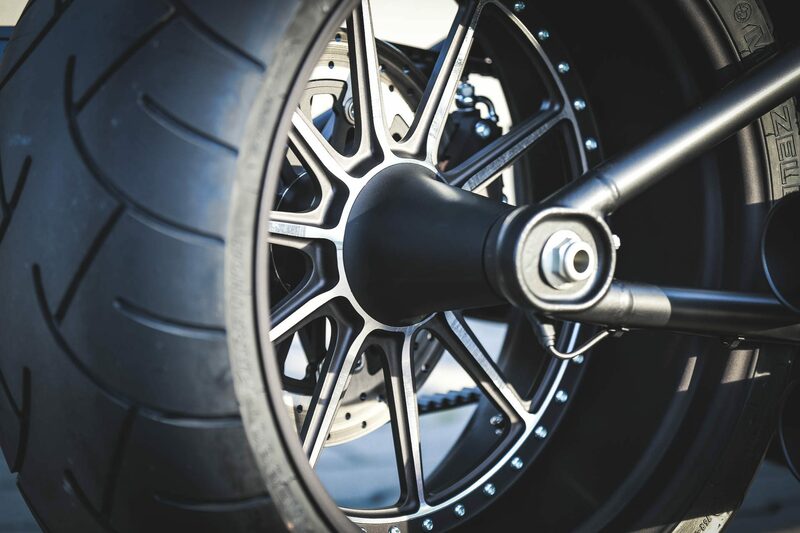 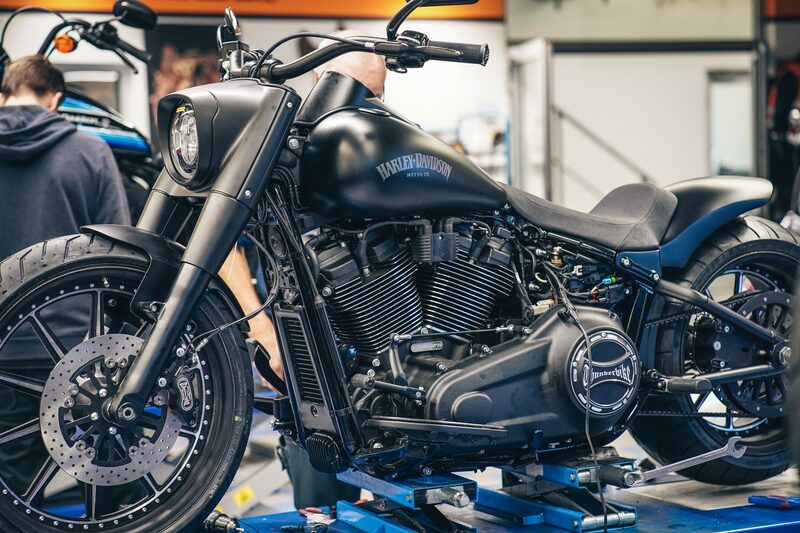 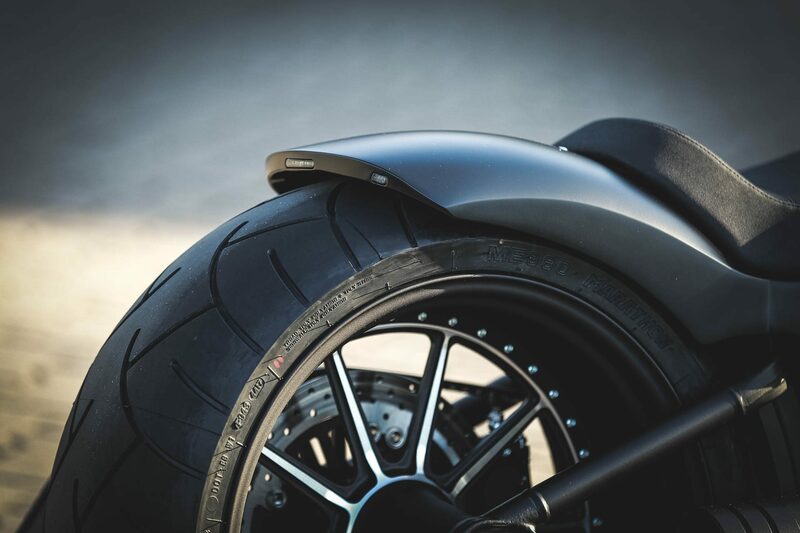 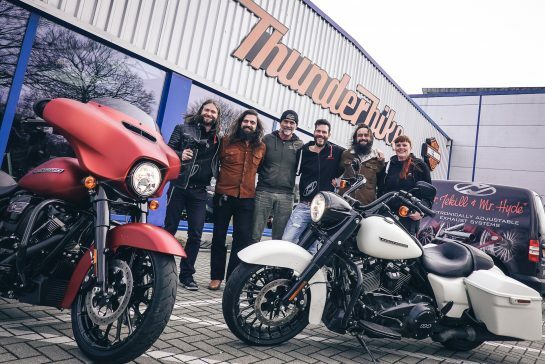 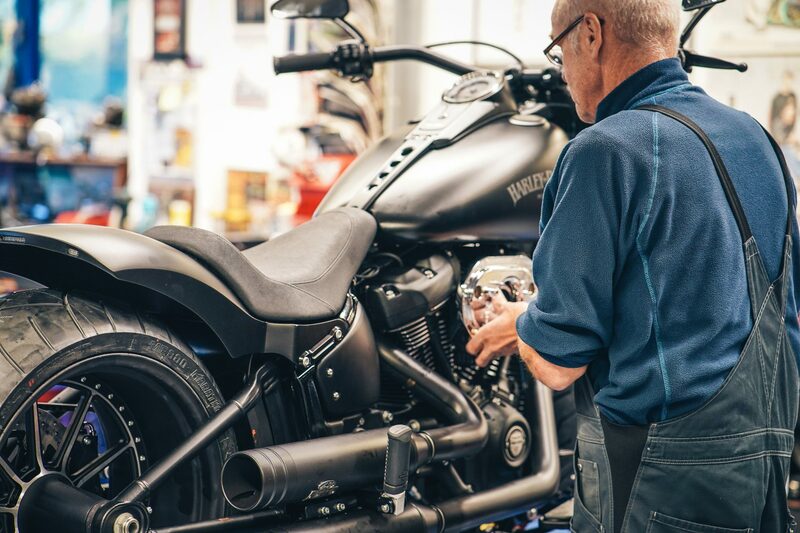 The Thunderbike rear fender Steel with integrated rear light & turn signal avoids the Dark Dude additional light components, which sticks to the dark look. 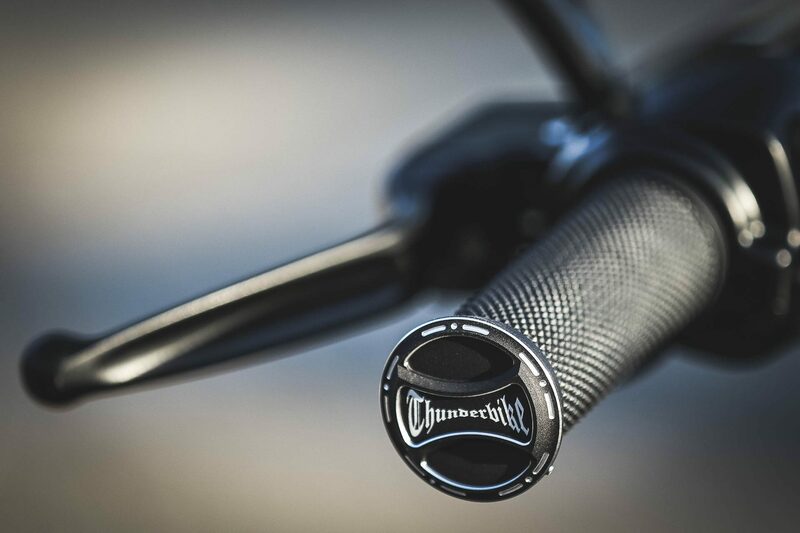 The Riser Kit Old Style holds the Hollywood Light handlebar in place. 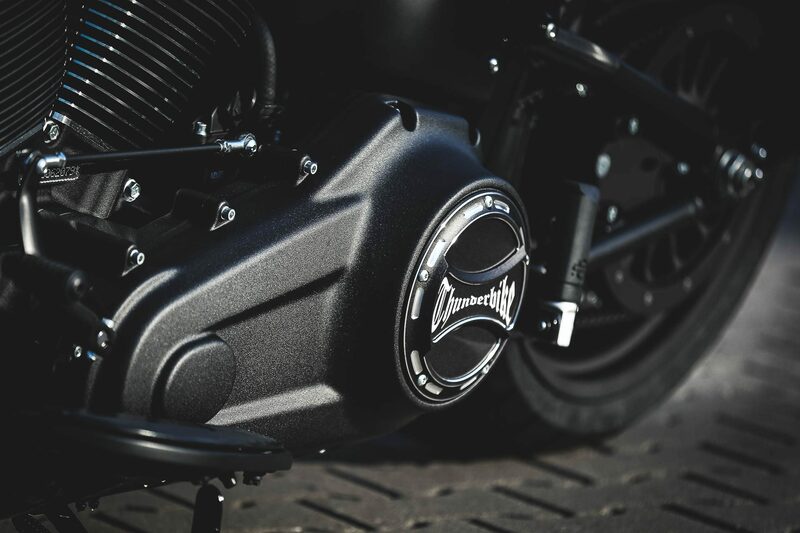 Of course, this bike also includes our side mount license bracket with Inside Plate and lighting. 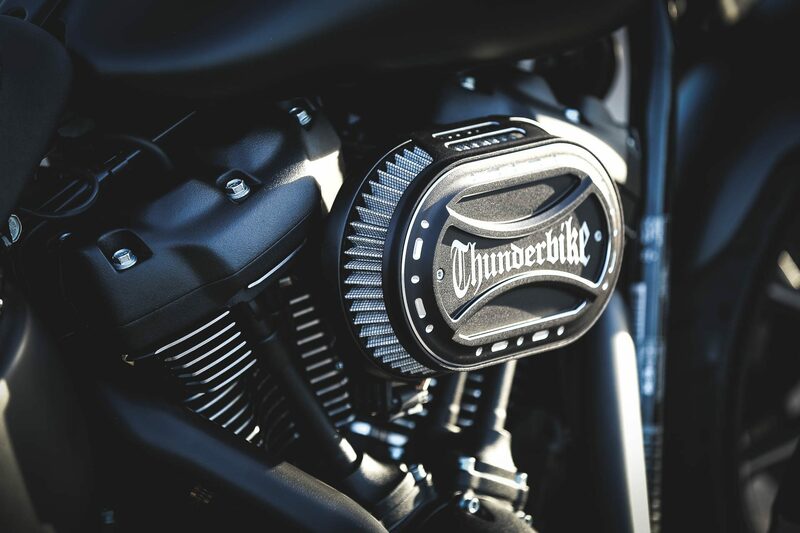 To round off the project perfectly, we have attached various covers such as the clutch cover Torque with Thunderbike logo. 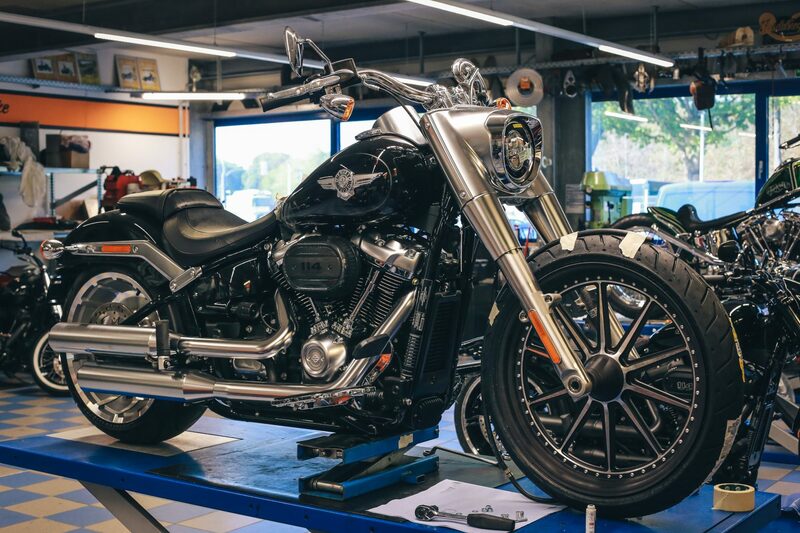 As usual you will find all parts in our Online Shop!